Paul I. Reynolds, M.D. (Residencies 1984 and 1987, Fellowship 1988), associate professor of anesthesiology, associate chair of clinical affairs at C.S. Mott Children’s Hospital, and service chief of pediatric anesthesia, was celebrated as the Sujit K. and Uma A. Pandit Professor of Pediatric Anesthesiology, a title he has held since 2007, during a September 2017 ceremony. 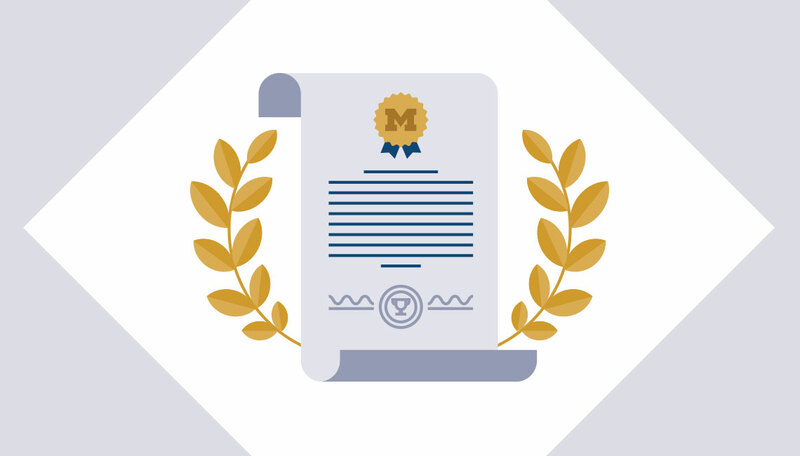 The professorship was established by the U-M Department of Anesthesiology in recognition of Sujit K. Pandit, M.D., and Uma A. Pandit, M.D., who achieved national and international recognition for their innovations in clinical technique and patient care. It was further supported by a generous gift from Sujit Pandit in 2015. The endowment honors two prominent and dedicated academic physicians for their contributions to Michigan Medicine. Laura Lamps, M.D., professor of pathology, director of gastrointestinal pathology, and chief patient safety officer, became the inaugural holder of the Godfrey Dorr Stobbe Professorship in Gastrointestinal Pathology in October 2017. The professorship honors Godfrey Stobbe (M.D. 1935), a pathologist who left his entire estate to the U-M Medical School. His legacy has resulted in the establishment of four professorships in the Department of Pathology since 1987. In October 2017, Andrew Putnam, Ph.D., associate professor of biomedical engineering and of chemical engineering, was named the Robert C. Leland Jr. and Donna D. Leland Professor of Biomedical Engineering and Cardiovascular Medicine. Funded by a generous gift from the Lelands, both proud U-M graduates, the endowment will support research in the field of cardiovascular medicine. Biomedical Engineering is a joint department between Michigan Medicine and the College of Engineering. The Arthur C. Curtis Professorship in Skin Molecular Immunology was inaugurated in October 2017. Curtis (M.D. 1925) was appointed professor in the U-M Department of Dermatology and Syphilology in 1942. In 1946, he was named chair of the department and continued in this role until his retirement in 1967. Funding from the department was used to establish the Arthur C. Curtis Professorship in Translational Research in 2008 (renamed in 2017) to honor Curtis’ contributions to U-M and to the field of dermatology. Johann Gudjonsson, M.D. (Internship 2004, Residency and Fellowship 2007), Ph.D., associate professor of dermatology, is the first holder of the professorship. The Raymond W. Ruddon Collegiate Professorship in Cancer Biology and Pharmacology was inaugurated in December 2017. Ruddon (Ph.D. 1964, M.D. 1967) joined the faculty in 1964, later serving as associate director for basic research at what is now the Rogel Cancer Center. He was corporate vice president for science and technology at Johnson & Johnson, then returned to U-M in 2004 as a professor of pharmacology and senior associate dean for research and graduate studies, initiating programs such as the Michigan Metabolomics and Obesity Center (now the Michigan Nutrition Obesity Research Center), the Center for Computational Medicine and Biology, and more. Carole Parent, Ph.D., professor of pharmacology and adjunct research professor at the Life Sciences Institute, is the first Ruddon Collegiate Professor of Cancer Biology and Pharmacology. In January 2018, the Kenneth and Judy Betz Family Research Professorship for Food Allergy Research was inaugurated. The endowment will serve as an enduring legacy of Kenneth and Judy Betz, whose deep commitment and generosity to Michigan Medicine has been multifaceted. The professorship will support research into the causes and potential cures for food allergy, an issue that has directly impacted the Betz family. Chang Kim, Ph.D., professor of pathology, will serve as the first Betz Family Research Professor for Food Allergy Research.